As a child, I remember every snow we ever got – Mama would be on the back porch lightly scraping off the top layer of snow from the surface of the handrails or anywhere else that she could gather some clean snow from. 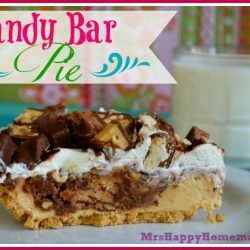 What a treat that was when she whipped up a batch! And such fun memories too! We’d sit in the kitchen eating it all up – pretty much in one sitting. And if there was any left, you can bet I would sneak it when she wasn’t looking. Mama is upstairs taking a shower? Well, I’m in the kitchen stealing snow cream. I was bad, I know. 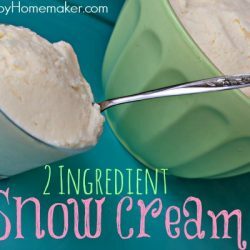 Now, I don’t store 20 something bowls of snow in my freezer – but I do accumulate what I can – roughly 5-6 bowls worth… just so I can have snow cream a little longer. I just love it so much. I told you it was genetically hardwired in my system. 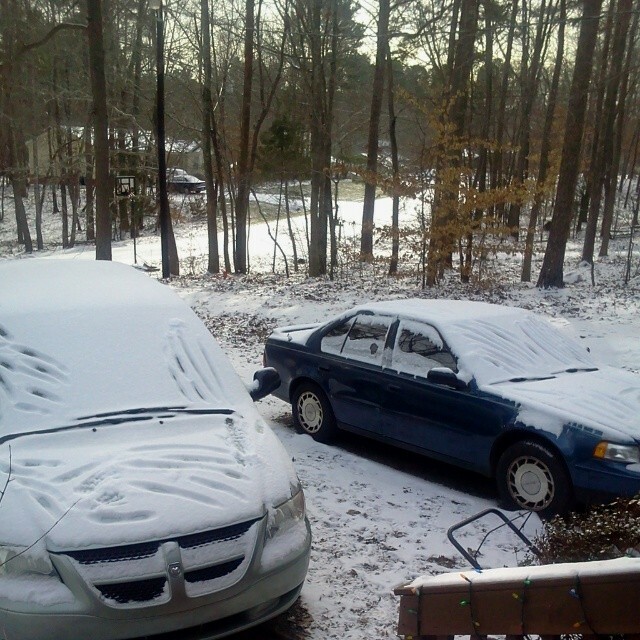 If you live in an area that doesn’t get much snow like I do, the best way to ‘harvest it’ is to find a surface such as your deck railing or car and scrape off the top layer of clean snow with a measuring cup. 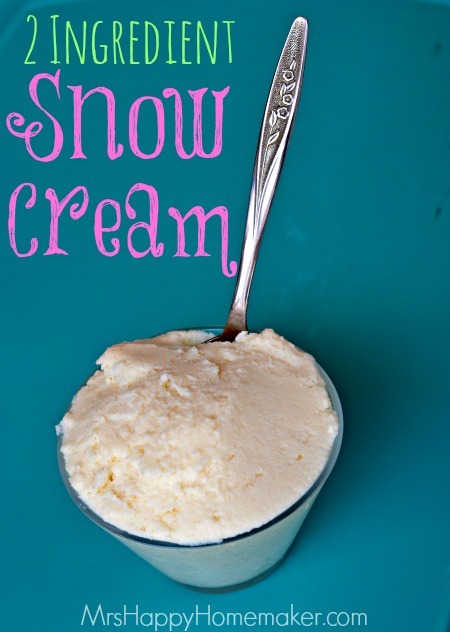 I make my snow cream the same way my mother does, but odd thing is – I don’t know anyone else who makes it the same. Now, I know there’s gotta be others that make it the same way we do – because it’s absolutely delicious. 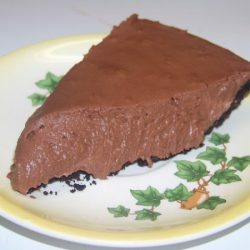 But, for those of you who don’t do the 2 ingredient method, I just had to share. It seriously can’t be beat. I just ate a bowl, and I’m already salivating for more. I rarely measure my snow. I just grab a large bowl and pack it in. 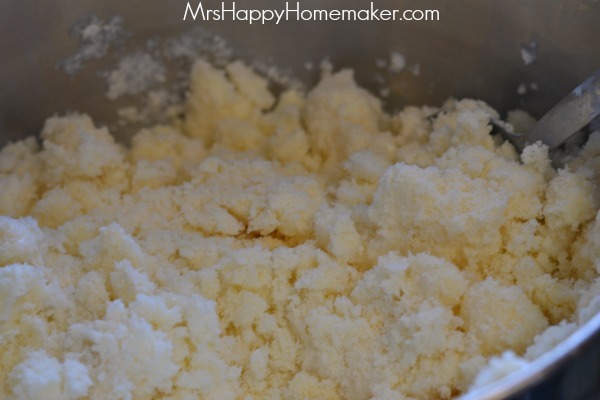 But, I use about 6-8 cups of snow in one batch of snow cream. You can measure it, or just grab a large bowl and fill it up like I do. 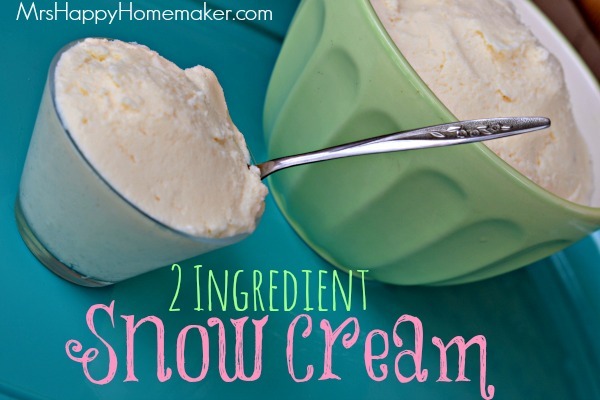 Snow cream is pretty hard to mess up. 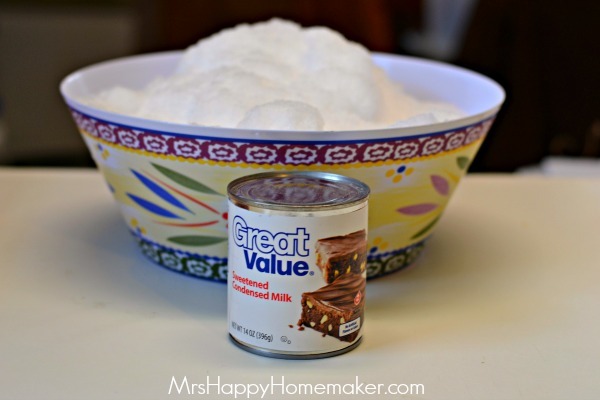 Pour a 14oz can of sweetened condensed milk into your large bowl of snow. Stir it up really good. 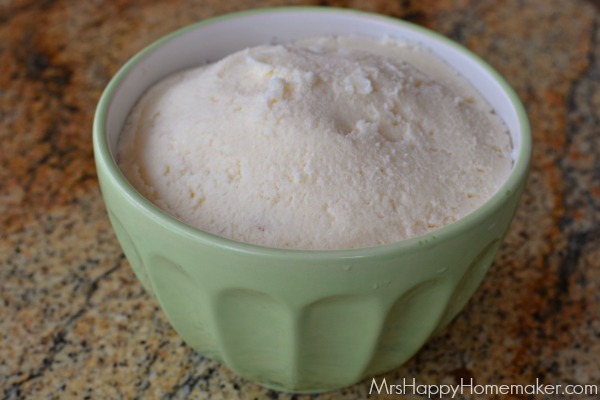 Don’t worry, you’re snow cream is supposed to shrink a little bit. 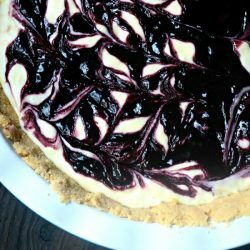 Sometimes I also add a little drizzle of vanilla, but it’s not mandatory. Now, taste it. If it’s too sweet for your liking – add a little more snow. Eat it right away, or put it in a freezer safe bowl and freeze. 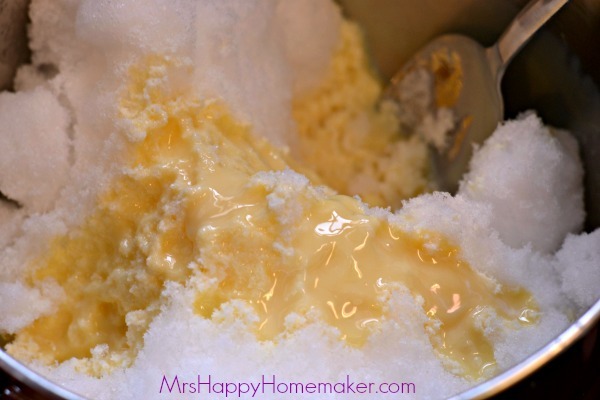 In a large bowl, mix together the snow with the sweetened condensed milk. Stir in the vanilla extract if using. 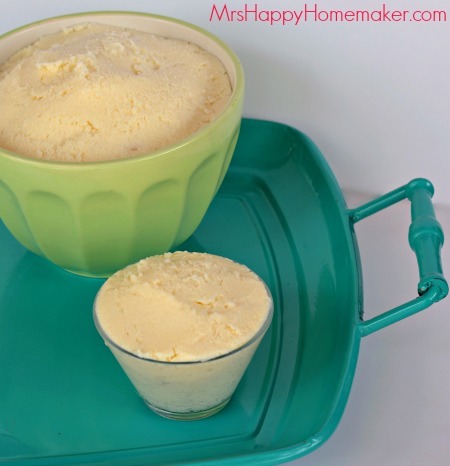 Taste – add more snow if the mixture is too sweet for your liking. 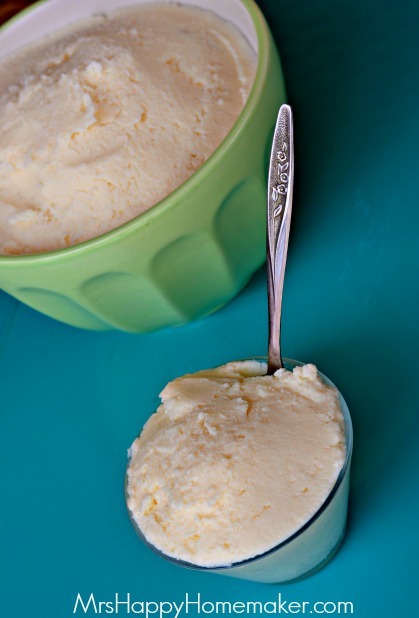 Serve immediately, or freeze in an airtight freezer safe covered bowl for later.